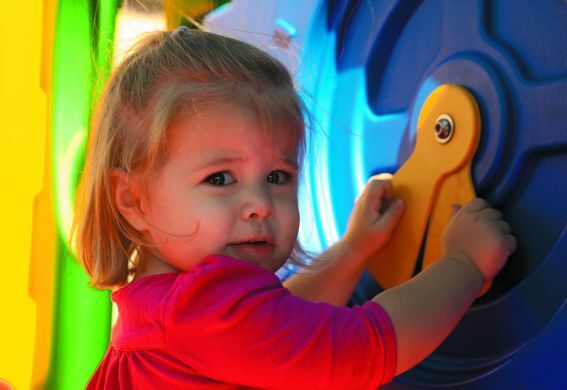 The Discovery Center Playhouse is packed with exciting activities, while also being 100% ground level making it easy to access by children of various abilities. 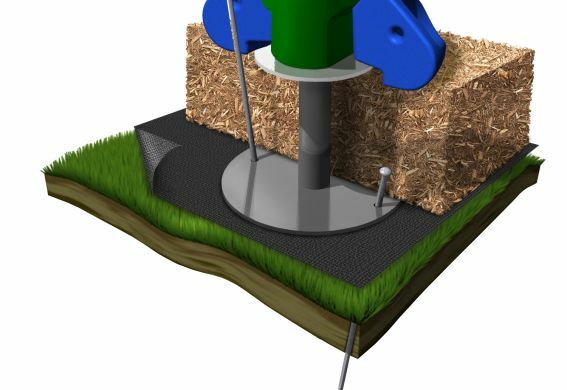 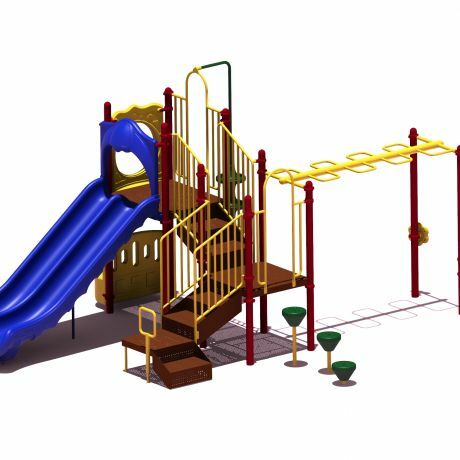 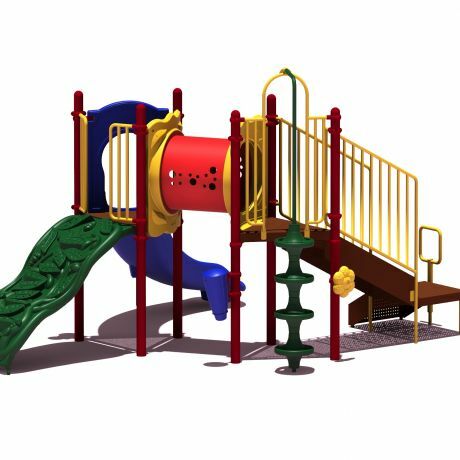 Increased supervision and ease of access for caregivers is achieved by the open design of this play structure. 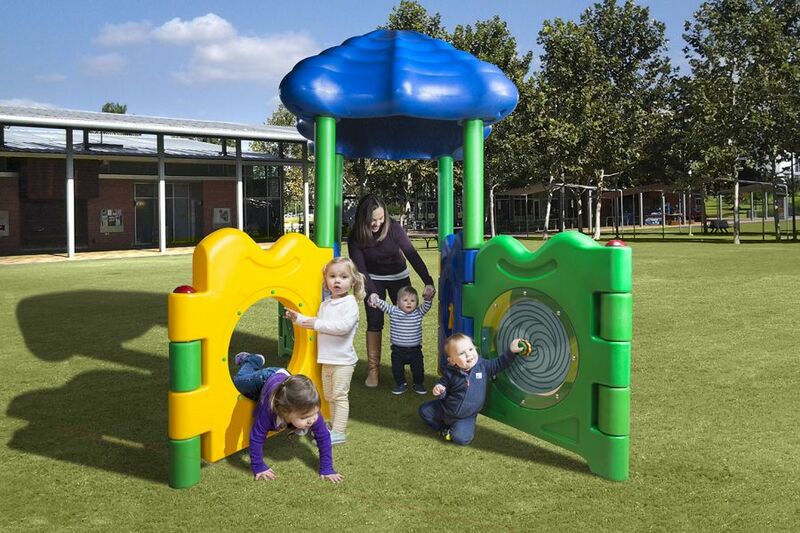 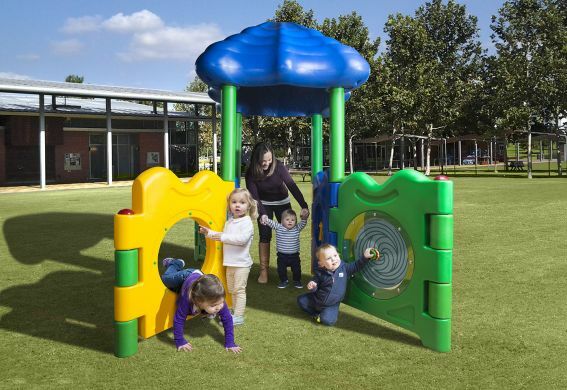 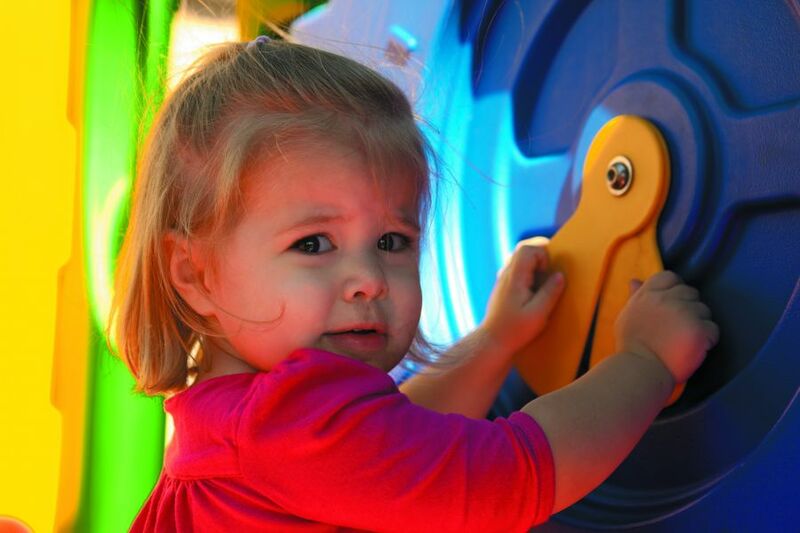 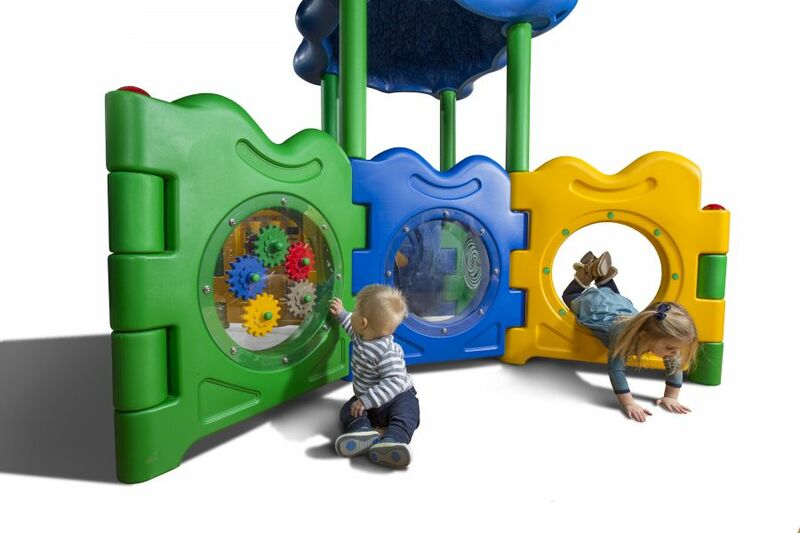 Children ages 6-23 months will explore the six play panels, which were selected to encourage skill development for that age group such as fine/gross motor development and object recognition. 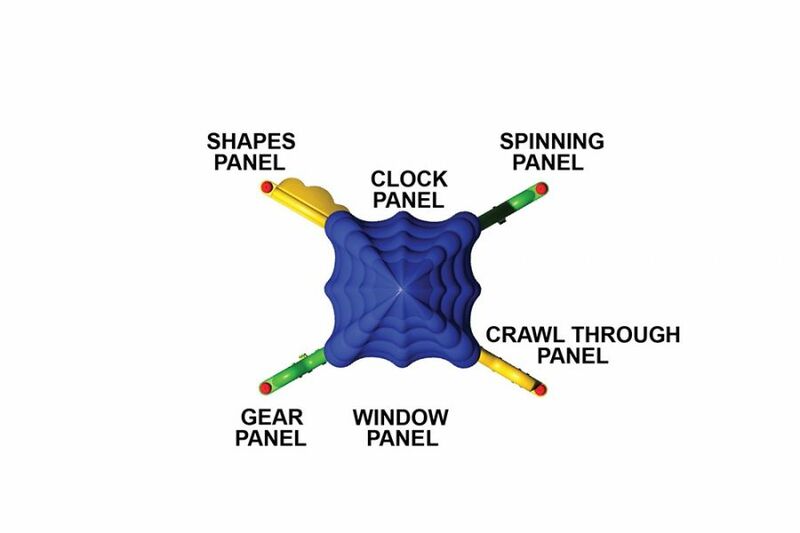 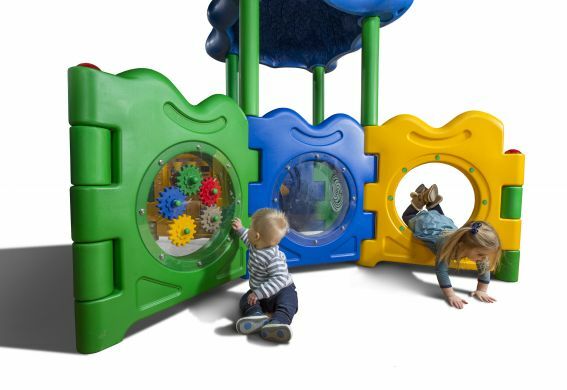 The Crawl Through Panel offers a unique challenge as children develop gross motor abilities and coordination as they transition from one side to the other, building strength and confidence!